Experts are warning that house price inflation could wipe out the benefits of the stamp duty break for many first-time buyers within the next 10 years. Stamp duty was axed for first-time buyers in the 2017 Autumn Budget on properties up to £300,000, but research from broker L&C Mortgages suggests rising house prices risk making this redundant for a large chunk of homes. Out of 100,000 recent property sales in line to benefit from stamp duty relief, according to L&C's calculations 30,000 will drop out of the break in the next decade. It wants the Government to commit to raising put in place a system for reviewing stamp duty bands and raising them in line with house prices. L&C's forecasts were based on UK house prices rising by 35 per cent and London house prices by 41 per cent by 2028. This represents average annual gains of 3 per cent for the UK, which would take the average ONS UK house price from £224,144 to above the tax-free threshold at £302,594. London in particular, where prices are forecast to rise by 3.5 per cent a year on average, will be hit harder, L&C warns. It predicts that in 10 years, over half of the 52,002 properties that currently qualify for a stamp duty cut for a first-time buyer will not benefit. Overall, the broker predicts that the total proportion of properties that would benefit from the stamp duty cut for first-time buyers will drop from 57 per cent to 28 per cent. David Hollingworth from L&C said: ‘As a priority the Government needs to ensure that there is a plan in place to review stamp duty land tax relief bands, to guarantee sustained support for would-be home owners now and in the future. How has stamp duty changed for first-time buyers? Last year, Chancellor Philip Hammond abolished stamp duty for first-time buyers on the first £300,000 of any home that costs up to £500,000. 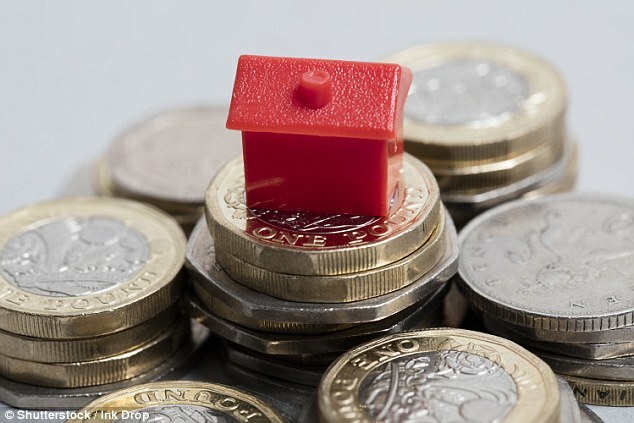 A rate of five per cent is charged on homes valued between £300,001 and £500,000. First-time buyers who buy a property for £500,001 or more will not benefit from the relief at all. So will the benefits that first-time buyers are seeing from the stamp duty cut be short lived? L&C's house price predictions are based on data from the ONS House Price Index. Last September, L&C commissioned Opinium Research to use this data to make forecasts on what prices might do over the next 10 years, and what effect this would have on potential eligibility for stamp duty relief. For their estimates on stamp duty relief bands to be accurate, prices would have to rise by 35 per cent across the UK by 2028, with London experiencing a 41 per cent rise. 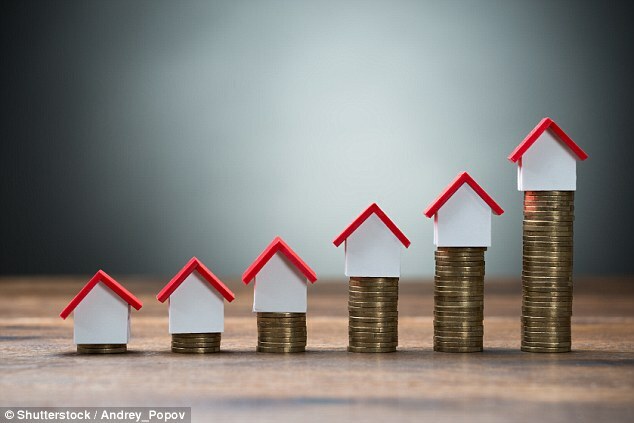 A study using Land Registry data from online estate agent Emoov last year forecast a 56 per cent rise in house prices by 2027, bringing the average house price up to £347,757. Russell Quirk, Emoov chief executive said: 'Despite the current slower market conditions prices are steadily climbing and should they continue do so over the next decade, the aspiration of homeownership will spiral even further out of reach for the nation’s first-time buyers - as shown by both L&C’s and our own research. 'At this rate, the stamp duty tax relief introduced last year will become obsolete for the majority of first-time buyers by 2028 as house prices largely exceed the price thresholds at which it applies. Similarly, in December a Knight Frank forecast using Nationwide House Price Index data predicted a 14.2 per cent rise in house prices by 2022. But these are just forecasts, and it isn't set in stone whether or not house prices will rise by a big enough margin over the next 10 years to have the described effect. However, Nick Morrey, from broker John Charco,l says it might not take homes being pushed out of the relief band for homeowners to lose the benefit of the tax cut. If prices rise one per cent per year then a £300,000 property would after two years be £306,000, in which case the benefits of stamp duty relief would be wiped out. 'Looking at things another way, buying a property at £300,000 requires a minimum 5 per cent deposit, with or without stamp duty, which is £15,000. 'For a 5 per cent deposit to be £20,000, the total cash required to buy at £300,000 with a 5 per cent deposit and the £5,000 stamp duty, the purchase price would have to be £400,000. 'Only the bullish would reckon that prices will rise 33 per cent in 10 years given the relative stagnation expected for the next two to three years - but it is possible if later years are strong. How has the tax cut helped so far? Southampton, Norwich, Bristol and Plymouth have the largest proportions of property sales between £125,000 and £500,000, which is where there is a saving to be made from the first-time buyer stamp duty cut. On the other hand, London has a relatively low proportion of properties within the band that qualify for a cut, primarily because just over two fifths of sales are over £500,000 and therefore not applicable for the stamp duty benefit. However, outside of these cities the proportions of properties it applies to falls, mainly because many properties simply drop below the threshold for paying stamp duty at all. For example, only 45 per cent of properties in Liverpool fall within the band, because over half of property sales were for less than £125,000, which is when stamp duty kicks in. An L&C survey found that the general attitude to the stamp duty changes among first-time buyers is positive. Almost two thirds support the changes to reduce or abolish stamp duty for some first-time buyers. Nevertheless, one in four prospective first-time buyers believe that the Help to Buy ISA is the most effective government initiative to help them get on the property ladder.